Our nationwide home heating oil delivery trucks and depots are one of the biggest heating oil delivery networks in Ireland. 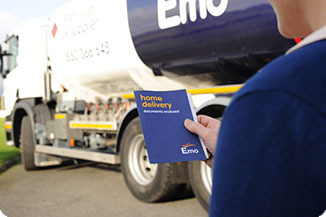 That means that when you order your home heating oil from Emo, it will be delivered from your nearest depot – fast! You can now order on this page or use our CallSave number 1850-366-425, sit back and we’ll get to you! Why Emo Home Heating Oil? 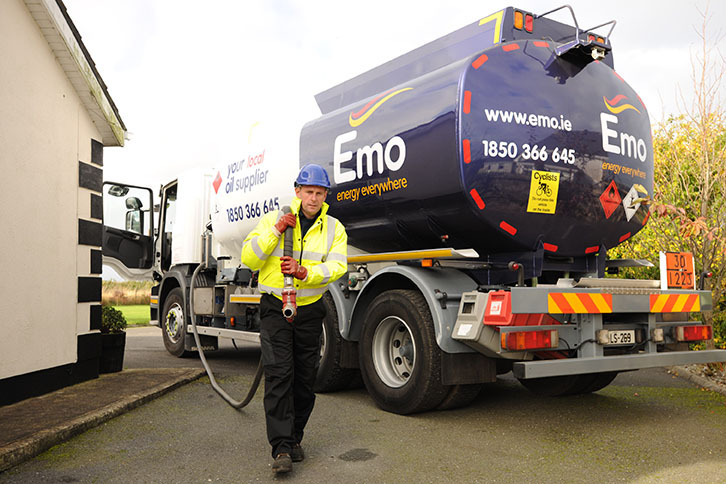 Emo Oil is part of DCC Energy which is the leading supplier of home heating oil in Ireland and the UK. At Emo, you are our number one priority. No matter where you live in Ireland, you can rest assured that the secure order you place online will reach you at the right price and just when you need it. Once you place your order, you can login to your online account at any time to find out the exact status of your order. When you order online, your will have the option of adding Home Heat Plus or Aga Kero Plus (especially for Ranges) for a cleaner burn. This is the highest quality home heating you can get and is Emo’s premium home heating oil product.